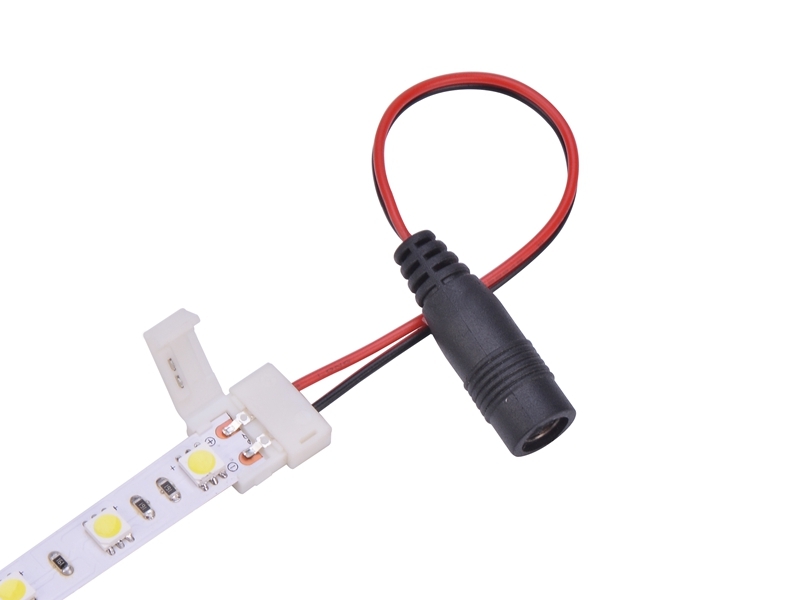 A kind of connector working between non-waterproof flex LED strip and DC connector from power supply. It make connection convenient not just at connection to strip end but also connection to power supply. 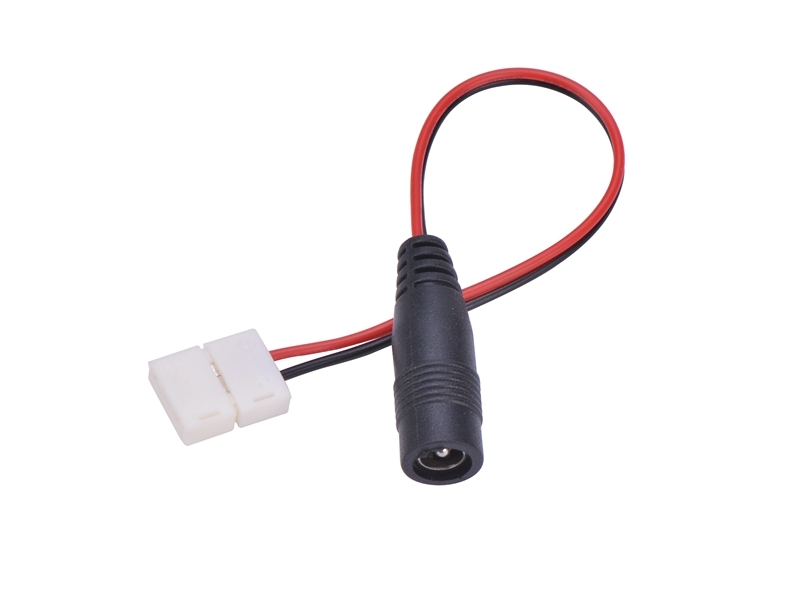 Solderless design, directly from strip to power supply with DC output,easy to use. Teeth on cap to grab strip reliably. Stable current carrying to avoid micro electrical spark. Copyright © 2019 Skylight LED. All Rights Reserved.